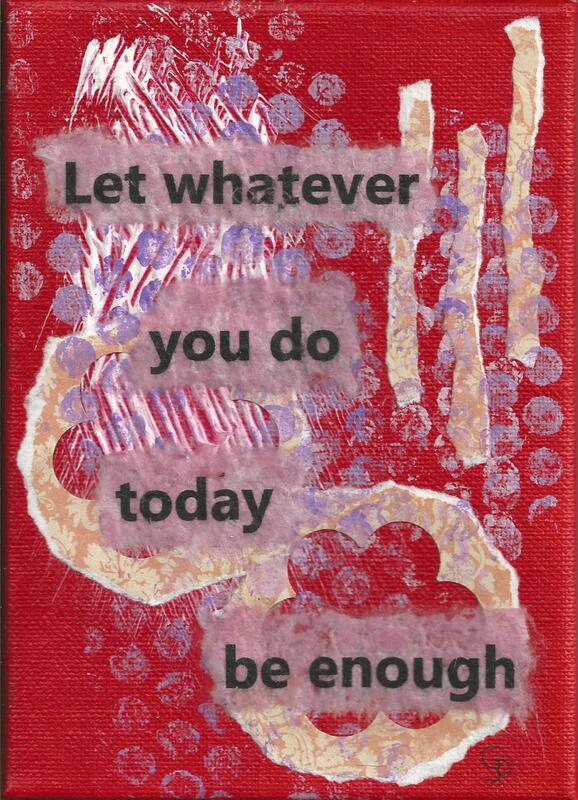 Original 5″ x 7″ mixed media painting on canvas with words “Let whatever you do today be enough”. 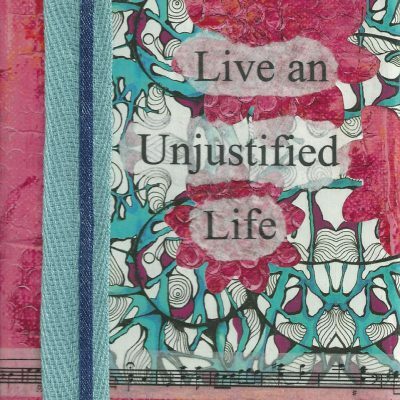 Created using acrylic paints, mediums, hand made and printed papers. Main colour is red. 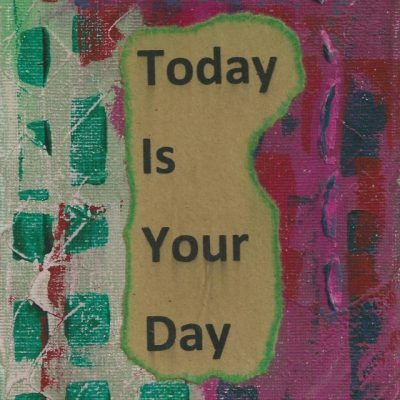 “Let whatever you do today be enough“. 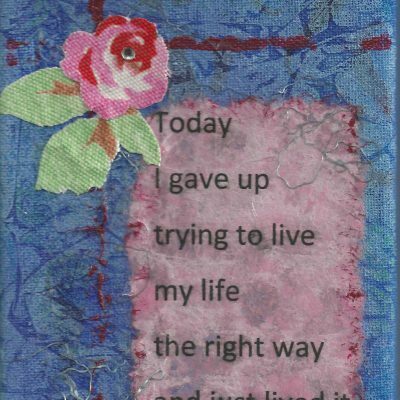 Created using acrylic paints, mediums, hand made and printed papers.